"It is a common rule of thumb in business; e.g., "80% of your sales come from 20% of your clients." 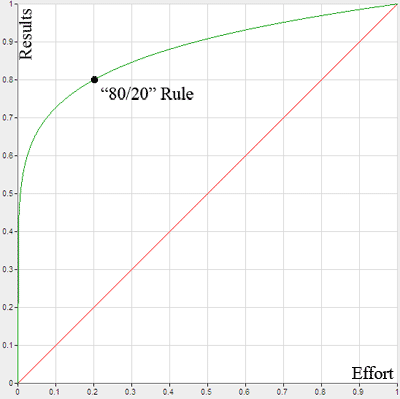 Mathematically, the 80/20 rule is roughly followed by a power law distribution (also known as a Pareto distribution) for a particular set of parameters, and many natural phenomena have been shown empirically to exhibit such a distribution"
80% of problems can be attributed to 20% of causes. "If you have a list of ten items to accomplish, two of those items will turn out to be worth more than the other eight items put together. 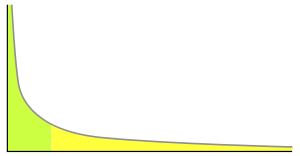 The sad fact is that most people procrastinate on the top 10 or 20 percent of items that are the most valuable and important, the “vital few,” and busy themselves instead with the least important 80 percent, the “trivial many,” that contribute very little to their success."